White Palace was built in 1941 By the 1st King of Swat valley (Mian Gul Abdul Wadood) Later the palace was converted into a tourist resort hotel. The Hotel is situated at 7000 feet above sea leavel on Marghazar Hill Swat valley offers beautiful views and good service and good food. 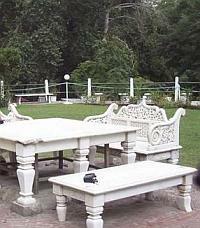 Hotel White Palace Swat in Swat, offers above rates only to Hunza tours. The online reservation payment must be made to Hunza tours not the hotel. Book your events, Meetings, Conferences Marriage parties at Hotel White Palace Swat or any other hotel in Swat please feel free to email us we will offer you the best possible rates and perfect arrangements to suit your events. 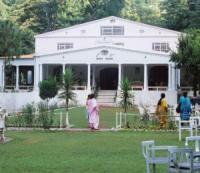 For room reservations at Hotel White Palace Swat Swat please contact usTravel & Culture Services are hotel reservation agents in Pakistan. We reserve hotels at special discounted rates for individuals and companies.